Established in 2005 by Sean and Ingrid McGinley, Meadow Mountain Homes is a boutique custom home builder in the Vail Valley of Colorado. Our building philosophy is to create high-end Mountain luxury environments that reflect our clients' aspirations and exemplify sustainably-minded constructability and design. Project experience includes an assortment of styles and sizes in the distinguished resort communities of Vail, Bachelor Gulch, Cordillera, Beaver Creek and Red Sky Ranch. Buffalo Mountain Metals is an expansion of Turner Morris, Inc. with extensive knowledge in sheet metal fabrication and welding services. Serving Silverthorne, Frisco, Breckenridge, Vail, Avon, Winter Park & beyond since 2006! Andrzej “Andy” Toczek has been with us since 2006. He began as a project foreman within our roofing division, Turner Morris Inc., and quickly showed an exceptional aptitude for working with sheet metal. As Turner Morris Roofing sought to expand their sheet metal capabilities, they knew that Andrzej was the right guy to guide Buffalo Mountain Metals into the future. Andrzej took over Turner Morris’s metal division, Buffalo Mountain Metals, at the beginning of 2015 as the Project Manager with a focus of servicing customers with metal needs in Summit and Eagle Counties. Kris Carlsted grew up in a home where he mastered many trades with helpful guidance from his father. He discovered a love of working with metal during that time and sought more formal training in his 20s. He continued learning and has spent the last 10 years mastering the art of decorative welding working with another well respected steel company in Summit County. Kris joined Buffalo Mountain Metals in late 2016 tasked to help grow Buffalo Mountain Metal’s services so that we can operate as a full service metal shop. Apex Mountain Homes builds high-end, custom mountain-style homes, featuring natural indigenous rock, hand-hewn heavy logs and timber accents, hand-crafted wrought iron railings, superb green and energy saving features and other elegant touches too numerous to mention. Typical Job Costs: $100,000 - 10 Million. New Custom Homes from $750,000 to 5 Million. Whole Home Renovations from $150,000 to $1.5 Million. 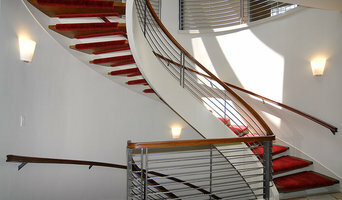 Complete Turnkey Renovations from $300,000 to $2.5 Million. Kitchens from $50,000 to $150,000. Finished Basements from $100,000 to $300,000. Room Additions from $100,000 to $300,000. These are estimates based on experience. Actual costs may vary depending on the scope of your project. Please contact us for a consultation about your project. They pay particular attention to the orientation of the home taking full advantage of beautiful mountain, forest, or lake views. Apex has the versatility to build any style of home from ultra modern to very rustic mountain style. Apex is known for having superior craftsmanship. Efficient management. Professional integrity. Exceptional value. Exceeding client expectations. Home after home, these are just some of the key qualities we deliver as the premier Summit County custom builder. We look forward to hearing from you and exploring together your vision for gracious mountain living. For over 15 years, we have worked as general contractors in Vail and Beaver Creek. ULFBUILT builds exceptional spaces through acute attention to detail, superior execution, and a simple belief: We treat your project as if it were our own. Team orientation is our greatest strength. First, our ULFBUILT team is our family. We care for each other and celebrate together. Second, we work with the best general contractors, subcontractors, and suppliers to give us a smooth building experience. Thus, we focus internally on our coordination and collaboration, along with healthy frequent communication with you, allowing a well cared for project and creating you peace of mind. We are committed to build with care for energy and water efficiency. We aim to make your home or business as practical and as sustainable as possible. We love the opportunity to work in tandem with our clients. Whether you envision an ultra-modern home or a rustic mountain lodge, our core values of knowledge, dedication, and communication keeps us on the path to success. Thank you for coming and visiting our website. 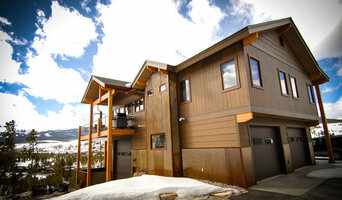 Check out our Portfolio of Vail Custom Homes. If you are ready to learn more about how we can build your vision, we invite you to reach out and connect with us, we would love to hear from you. Hess Custom Homes specializes in high end custom homes as well as extensive remodels and renovations with over 25 years of experience. Owner, Greg Hess is a recognized construction expert and award winning builder. He has served as mediator and expert witness on numerous construction defect and construction related dispute cases. Greg is also a Certified Construction Arbitrator and serves on the National Board of Arbitrators for C.D.R.S. Greg started Hess Custom Homes with the philosophy that your home is the fulfillment of your dream, the culmination of all you have worked for your entire life. We are committed to making sure we build you a home which respects that dream and our goal is to make the process fulfilling and enjoyable for our clients. It is your vision, but it is our privilege to make it happen. Fazendin Brothers takes a unique approach when bringing to life the dreams and visions of each homeowner. Every project benefits from the hands-on approach taken by Jeff and Allan Fazendin, who combined have more than 80 years of experience in custom home building, design and construction. We have been honored with 26 awards from the Minneapolis and Summit County Parade of Homes and our standards of excellence have held firm for more than 35 years. The difference starts from the beginning when we send a project out for bids. Rather than taking a cost-plus approach to building, Fazendin Brothers uses a stipulated sum approach that requires a thorough examination of each cost associated with the construction – be it pre-engineering trusses or meticulously poring over take-offs on excavation, concrete, lumber and siding. Once the numbers are put into place in the contract, they do not change. That means there are no unexpected financial surprises along the way or at the end. We also recognize the importance of timeliness, honesty and communication, which is why we tend to form lifelong friendships with the people who start out as clients. Allan and Jeff are always accessible and their dedicated staff of long-term employees and reliable crew members are equally accessible and friendly. Fazendin Brothers are a longstanding member of the Summit County Builders Association and believe in supporting the industry. We would love the opportunity to discuss your next project with you. You can reach Jeff any time at (970) 409-1212. Let us show you the Fazendin difference and build that new dream home for you and your family. DeLarue Building Co. is owned and operated by August DeLarue in Salida, CO and was founded in 2014. We provide custom home building services in the Upper Arkansas River Valley area of Colorado. We are most passionate about building science, energy efficiency, communication, and helping you navigate the process of building your new home. Prior to a career in construction management, August attended the US Coast Guard Academy where he met his wife, Ashley. After graduating from the CGA, August served 6 years Active Duty in the US Coast Guard as an officer, where he learned the most valuable skills that a homebuilder can have; organization, leadership, attention to detail, and professionalism. After moving to Salida in 2005, August was fortunate to have the opportunity to learn and apprentice for a local master homebuilder with over 25 years of experience. As an apprentice, August was able to manage and build over 65 homes for his customers, all the while honing his skills related to Building Science, Energy Efficiency, Organization, and Communication. DeLarue Building Company looks forward to the opportunity to work with you on your project. Epic Homes was founded in 2015 as the home building division under Diesslin Structures Inc, one of the largest general contractor/construction manager in Chaffee County, Colorado. Epic Homes specializes in custom residential homes, but also has experience in spec homes and apartment complexes. Though we are based in Salida, CO, Epic Homes will take on projects through-out Chaffee County and into surrounding counties, such as Park County, Saguache County, and Lake County. We are extremely proud of the reputation we have built at DSI, and will continue to keep that reputation alive with Epic Homes. Epic Homes CEO, John Diesslin is a Chaffee County native, and very active in the community. He is married and has two children. As a lifetime Salida area resident, John Diesslin knows that the Chaffee County area is a very close knit community where reputation is of utmost importance. We pride ourselves in the ability to take residential construction projects efficiently and effectively from inception to completion. Mariola Bros. Construction is a custom home builder in Salida, Colorado. MBC is a full service general contractor, providing new construction as well as remodeling services. We work with architects and home owners to ensure all aspects of a project are properly integrated as the final design is brought to fruition. We draw on many years of experience to build well designed, well constructed spaces with careful attention to detail and an emphasis on quality workmanship. We have worked with many different building styles including wood frame, steel frame, timber frame, straw bale, and masonry. We take pride in delivering projects that are beautiful, durable and cost effective. For Aspen residential home builders who also act as developers, the job starts well before the first nail is driven. They perform local market research to determine whether the prospective homesites make sense in the Aspen, CO market, as well as survey the land on which the house will be built to make sure it is suitable for construction. Custom builders also obtain the necessary permits. 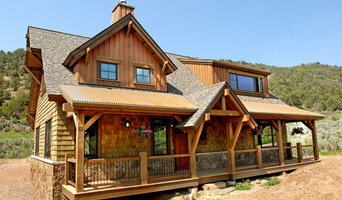 A good custom home builder in Aspen, CO has skills that go far beyond construction — he or she must supervise subcontractors and artisans; keep tabs on local zoning regulations, building codes and other legalities; inspect work for problems along the way; and perform dozens of other roles that are essential in building a quality house. Here are some related professionals and vendors to complement the work of home builders: Interior Designers & Decorators, Landscape Architects & Landscape Designers, Architects & Building Designers, Kitchen & Bath Designers, Specialty Contractors. House builders are responsible for ensuring that the home-building project sticks as closely as possible to the specified timetable, particularly in the event of change orders. Custom and luxury home builders in Aspen, CO also need interpersonal skills to deal with clients of all types, soothe frazzled nerves, negotiate conflicts and resolve problems. Find custom home builders in Aspen, CO on Houzz. Narrow your search in the Professionals section of the website to Aspen, CO home builders. You can also look through Aspen, CO photos to find a house you like, then contact the builder who worked on it.